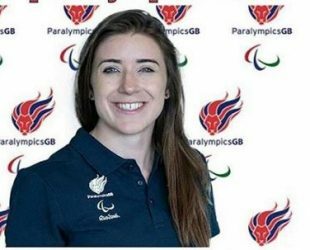 Libby Clegg, (MBE) was born on 24 March 1990 in Stockport, Englan. Is a Scottish paralimpic sprinter. She is representing both Scotland and Great Britain at international events. She attended the Macclesfield Harriers Athletics Club in 1999. 100m gold at the 2011 IPC world championships. BBC Young Sports Personality of the Year.